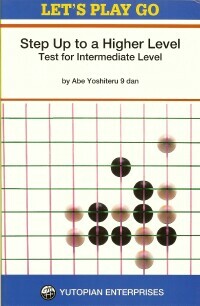 Step up to a Higher Level, Test for Intermediate Level by Abe Yoshiteru 9 dan is a book of 144 problems directed at 7-8 kyu players. 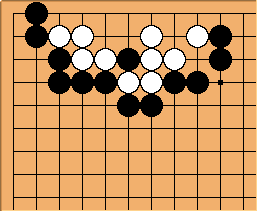 The book covers a number of techniques required to reach the 5-6 kyu level. The techniques are illustrated through the problems which often illustrate the same technique for two problems in a row. All problems are Black to play. The problems are presented two to a page, on the right hand side of the book (the odd number pages). The solutions are on the flip side of the problem page (the even number pages). Each problem is accompanied by a short section of text that hints at the answer. It may well be best to cover or ignore this text when doing the problems. 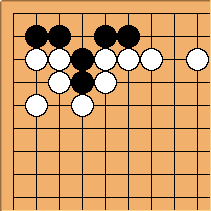 The opening problems differ from all the rest in that the problems are whole board problems and one is asked to choose among three possible moves represented by letter labelled points on the whole board diagram. The solutions comsist of two diagrams, the first showing the correct solution and the second being a failure diagram. 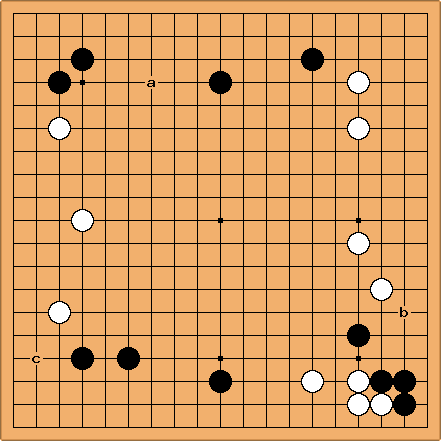 Many of the problems appear to be disappointingly easy, at least in a problem book setting, over the board these might be significantly harder to find, even though the solutions themselves remain easy. 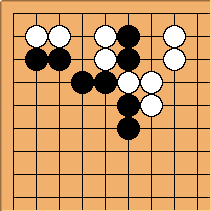 The problems are signifcantly easier than those in the second half of 1001 Life and Death Problems or Weiqi Zhongji Jieti Xunlian. However, quoting from the preface: "Since an effort has been made to remain faithful to the fundamentals, the questions may be characterized as being terribly easy, but on the other hand, there are also problems that attack some blind spots. Therefore, it may be called a collection of problems that can be very useful for everyone in actual game situations"
HughJfan: after finally getting around to buying this book I'm quite happy with it. I'm around 9k KGS right now and the problems are easy but not to the extent that I feel like I'm wasting my time. Some problems are really easy - I mean like a basic net but at the same time it's a comprehensive selection of problems which you can go over fairly quickly (I did the first two chapters in under an hour, taking my time reading the problem out and reading the answers and only got one wrong). However it has been said that doing lots of easy problems is very good practice. It's a bit expensive for how long it will take me to finish. update: I finished the rest of the book in my next lunch break. I pretty much got all of the questions right other than a couple of shape ones and endgame ones (so those are areas I'll be studying soon). Obviously the strength evaluation part (get x probelms right and you are y kyu) is rubbish. 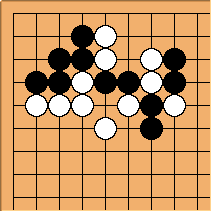 A translation of the middle book of a three volume set called Let's Play Go Tsumego Actual Strength Test Series available in Chinese translation from the originals in Japanese. See image at end of page. hnishy: This is a different tsumego book by Tozawa Akinobu.